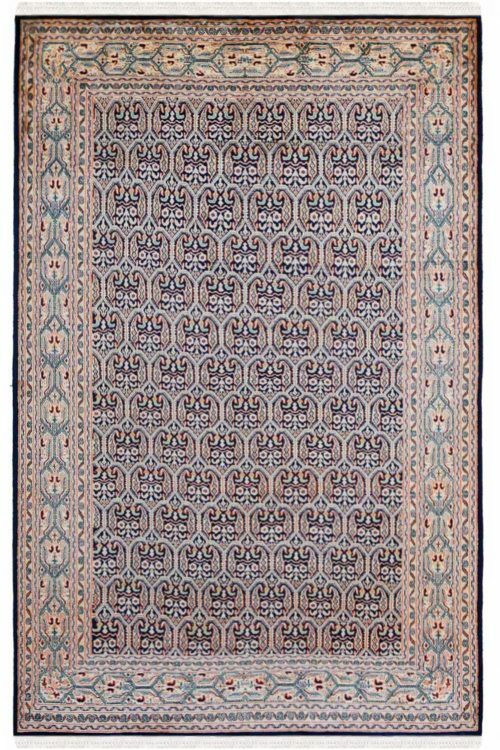 This Carpet is beautifully handcrafted in Pure silk material by our talented weavers. 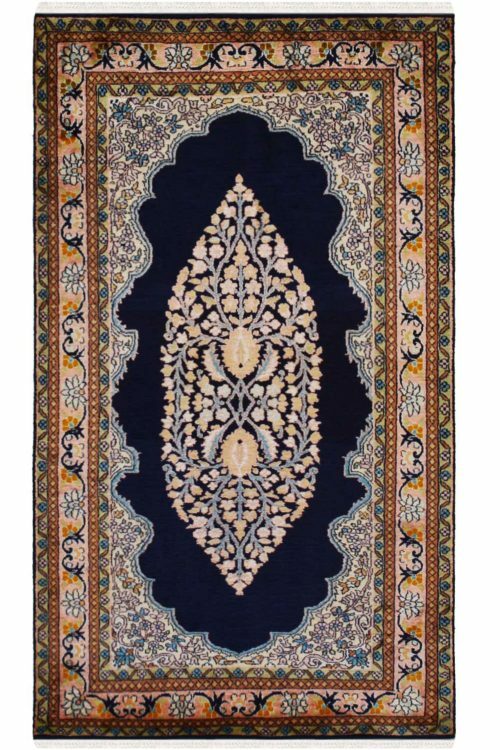 This is “One of a kind” handknotted product. The warp is in pure silk and weft is in also silk. It has taken 9-10 months to weave this gorgeous carpet. The primary color is turquoise and ivory color. 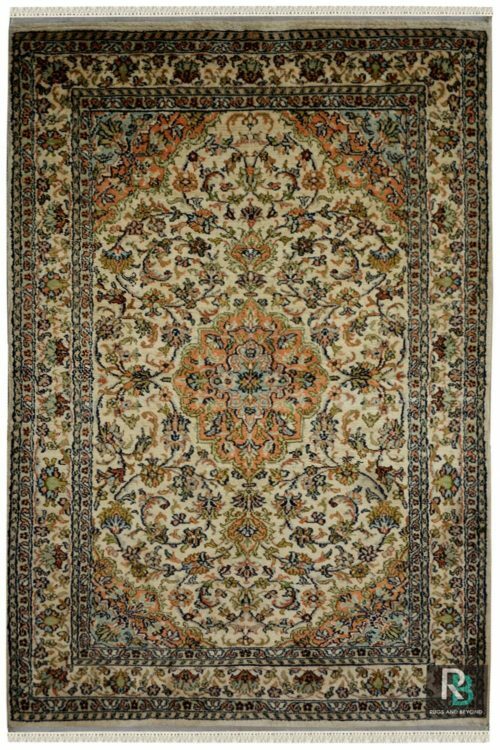 The design is in medallion kashan. 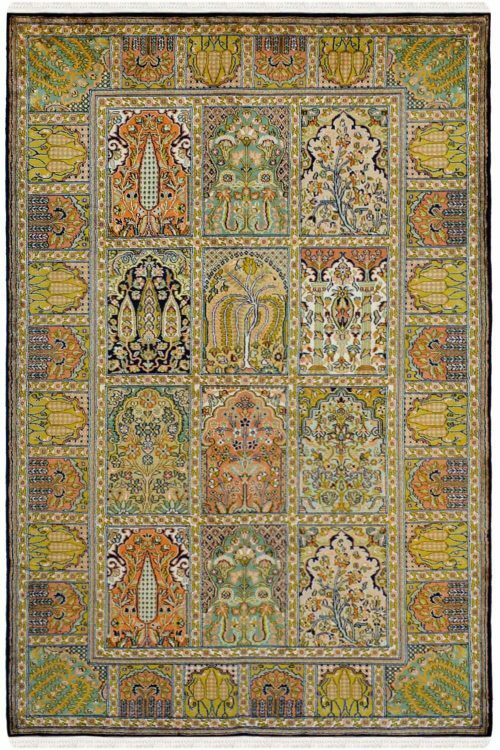 Kashan design has been originated from Persia. 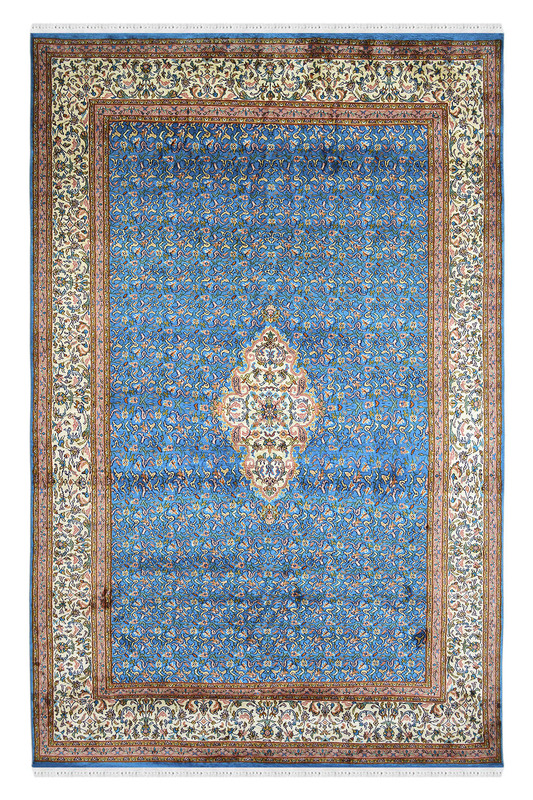 The ground is in turquoise color which contains a beautiful medallion design is ivory color.